Welcome to my website! 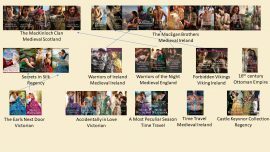 I write historical romance in medieval, Victorian, and Regency eras. If you are an international visitor, please visit the Books page, scroll down, and locate your home country flag on the left to find translations of my books. I love to interact with readers daily on Facebook and Twitter. 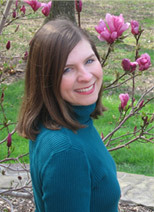 You can follow me on Bookbub to learn when my books are on sale. Join my Reader Discussion Group if you want to chat with me or ask questions. Visit the photo gallery to see my research pictures and landscape photos of Ireland and Scotland. If you’d like to get a free story and be notified whenever I have a new release, just sign-up for the newsletter at the bottom of this page by typing in your e-mail address. Don’t forget to add my e-mail address to your whitelist so it doesn’t get trapped in a spam folder. Thanks for stopping by! October 2019 The Highlander and the Governess will release from Harlequin Historical in digital and in print. 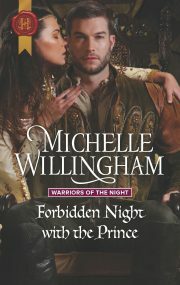 Early 2020 Stolen by the Viking (tentative title) will release from Harlequin Historical in digital and in print. Mid to late 2020 The Highlander and the Wallflower will release from Harlequin Historical in digital and in print. Please visit the Books page for new international releases. 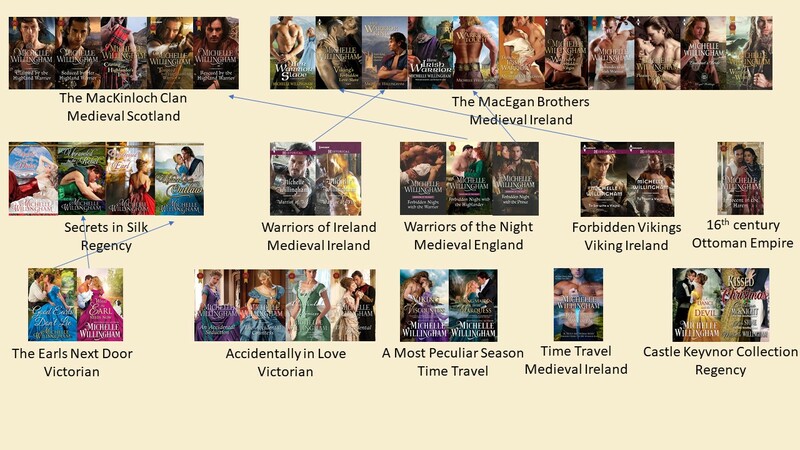 Click the graphic below to see all of Michelle’s books listed in series order and how they are connected! Enter your email address below and you'll receive a link to claim your story! You'll also have the option to subscribe to my newsletter if you'd like to find out about my historical romances and hear about new releases, giveaways and more.